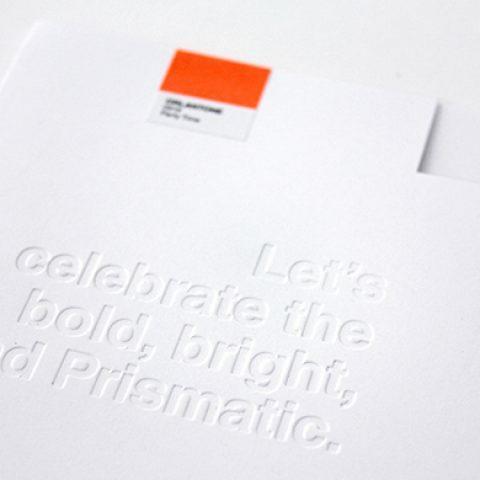 We are a creative agency born and raised in Orlando and we thrive on color to express our ideas. Every. Single. Day. Orlando is home and its story goes far beyond the pixie dust many associate it with. 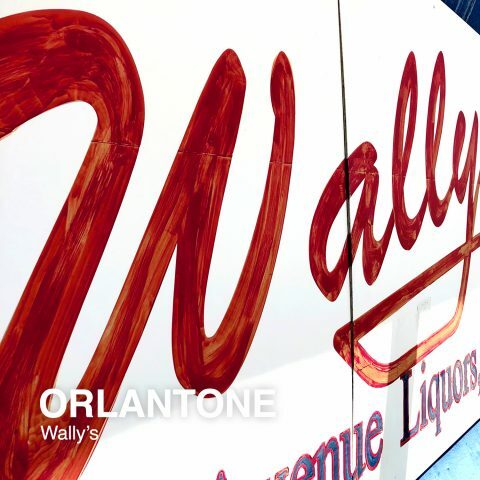 Inspired by our hometown and our craft, we created ORLANTONE: hues that celebrate the zeal, quirk, promise, and diversity of our City Beautiful. 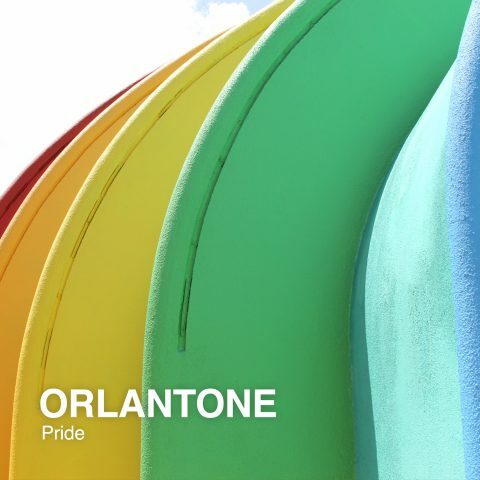 The purpose of ORLANTONE is simple: have fun, connect Orlandoans, and tell the story of our Orlando through the vivid colors that define it. 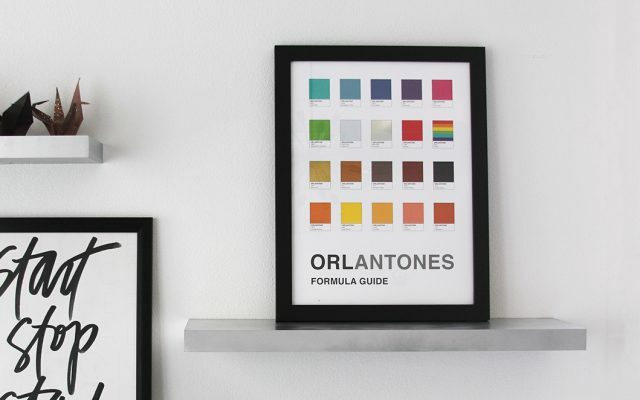 Each color is carefully chosen to represent the vibrant array of pop culture and localphile gems that help tell the story of Orlando. 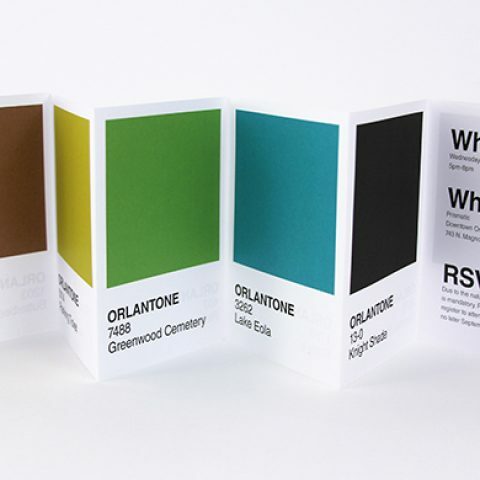 A limited edition, hand numbered poster featuring the top 20 tones of 2018 helps generate funding to create another creative localphile initiative in 2019. 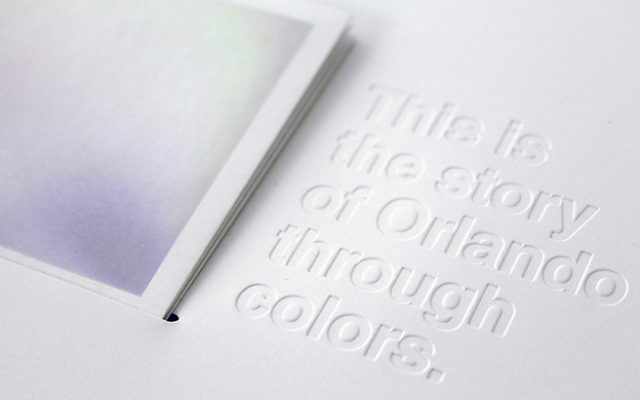 The story of Orlando is being co-created. 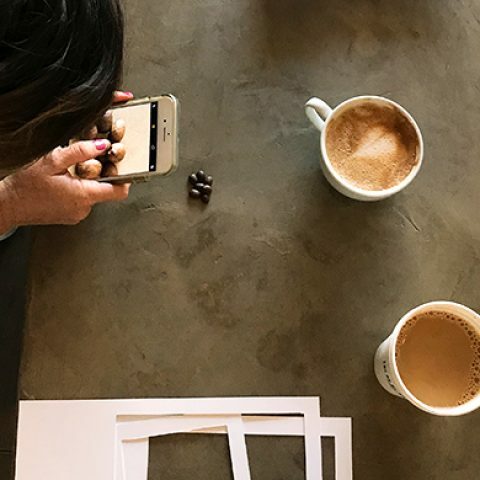 Instagram is the primary digital channel used for the initiative. 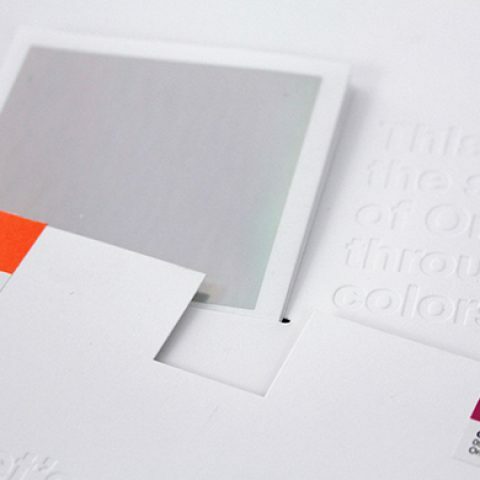 Colors are released according to their tonal value to help support a graduating spectrum effect when viewed as a body of work. 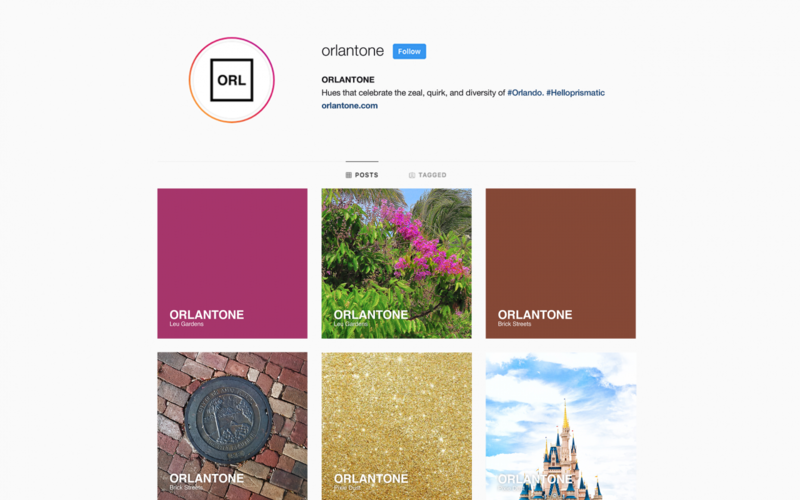 Followers are encouraged to submit color ideas to help add their own Orlando colors to the story by tagging ORLANTONE. 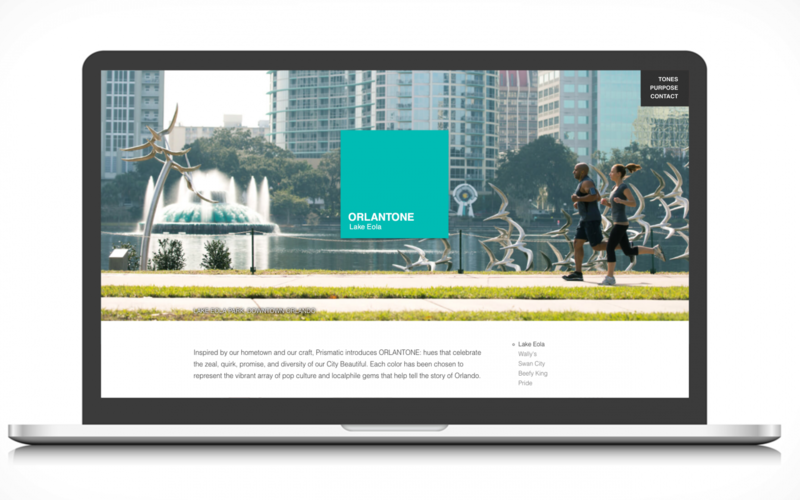 Orlantone is a mission-based creative initiative. 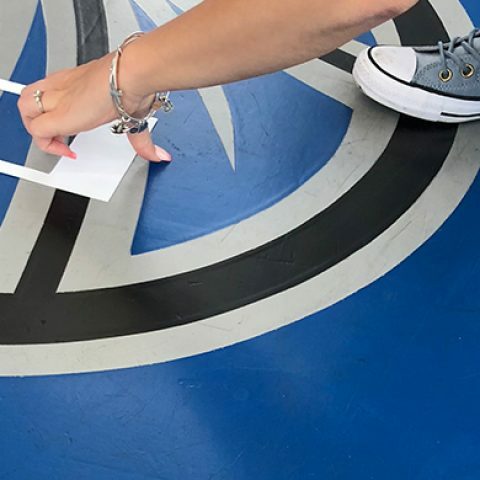 Our goal is to induce and fuel local pride and connections between our greatest color of all: our people. 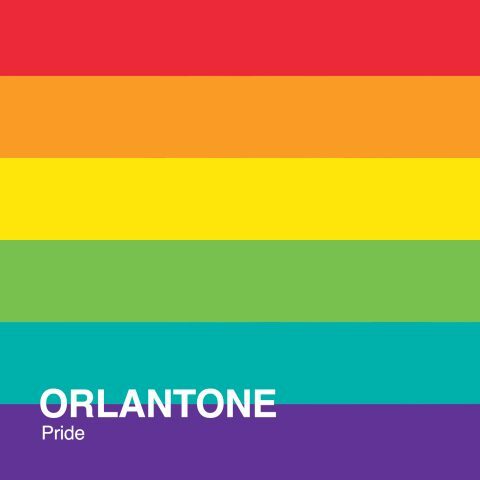 Proceeds from the sale of the limited edition poster will be used to fund another creative localphile initiative for Orlando in 2019. 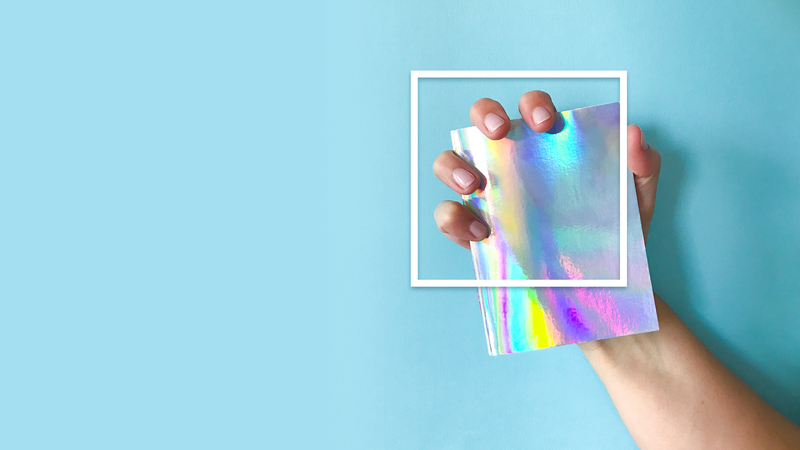 The poster features the top 20 hues of 2018 including two foil applications: gold dust sparkle for "Pixie Dust" and holographic for "Prismatic" (of course)! 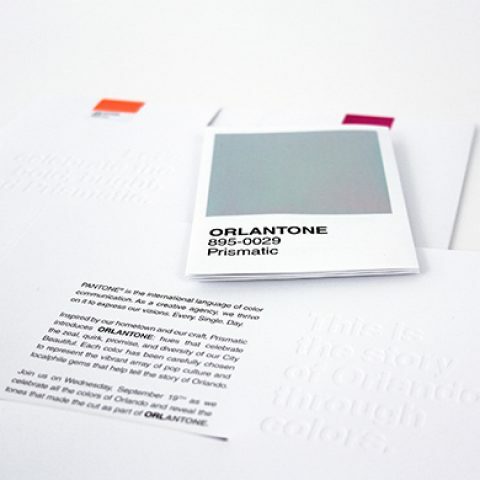 ORLANTONE officially launched with a event held at Prismatic. 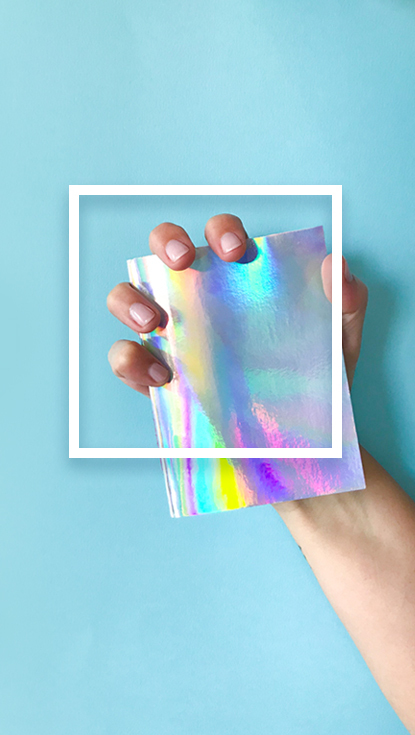 Custom invitations featuring debossed statements, holographic foil, fluorescent mail seals, and a dynamic 3-part design set the standard for an intriguing event.